Over the last twenty years, the work of Paul Rebillot – most notably his ingenious workshop 'The Hero's Journey' - has witnessed a remarkable period of development in Germany, Austria and Switzerland. Throughout this time and in consultation with Paul Rebillot, the Institut fuer Gestalt und Erfahrung (Institute for Gestalt and Experience, IGE) in Wasserburg am Inn, Bavaria (Germany) has trained more than one hundred Gestalt therapists to facilitate the Hero's Journey. Currently, more than a thousand people per year share the extraordinary experience of participating in this workshop, either at the IGE or with one of the various other institutes offering Paul's workshops. 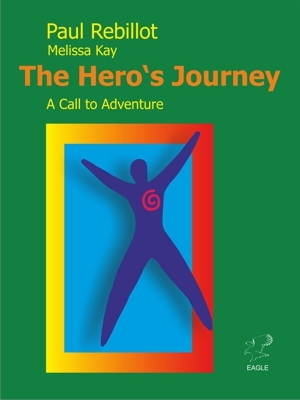 Learning to facilitate the Hero's Journey also constitutes part of various training courses in Gestalt therapy, dance therapy, somatic therapy and coaching. This book was published for the first time in 1993 by Harper San Francisco. While it only featured in their catalogue for a short period of time, it has enjoyed constantly increasing demand in Germany, and is now in its third edition. While the faces of the participants speak for themselves, we also now have empirical evidence which proves the effectiveness of the Hero's Journey; the study was carried out in association with the University of Leipzig, and found remarkable results. Participation in the workshop leads on average to significantly higher resilience, lower stress levels and a reduction in symptoms of depression. What is more, these effects were still evident a year after the workshop. The great success of the Hero's Journey in the German-speaking context has motivated us to make Paul Rebillot's standard text available again in English. We hope that this book will support endeavours to continue and spread the work of Paul Rebillot internationally and allow the Hero's Journey to gain the worldwide attention that it deserves. Influenced by his study of Gestalt therapy, the performing arts, and his association with the renowned mythologist Joseph Campbell, Paul Rebillot has created a dynamic rite of passage for anyone experiencing personal challenge or a life transition. In The Hero's Journey, Rebillot explains why personal crisis can actually be a form of spiritual calling. Sharing intimate details about his own stormy search for meaning, Rebillot shows how, through the process of ritual, a spiritual emergency can be transformed into a rewarding and powerful experience. Paul Rebillot (1931 - 2010) was a teacher and independent group leader with extensive background in theater, classical mythology, ritual, and Gestalt therapy. He has developed his imaginative exercises over thirty years leading workshops at Esalen Institute in Big Sur, California and at growth centers throughout Europe. He held degrees in philosophy, education, and communication arts. I find it very exciting that this book, which offers clear, practical guidelines for the experience of the Hero's Journey, will now become available to all those who can benefit from it. I recommend it to all serious students of consciousness, as well as all those interested in their own healing, personal growth, and transformation. I hope it will be widely used as a guide by individuals as well as group leaders. - from the foreword of Stanislav Grof, Ph.D.